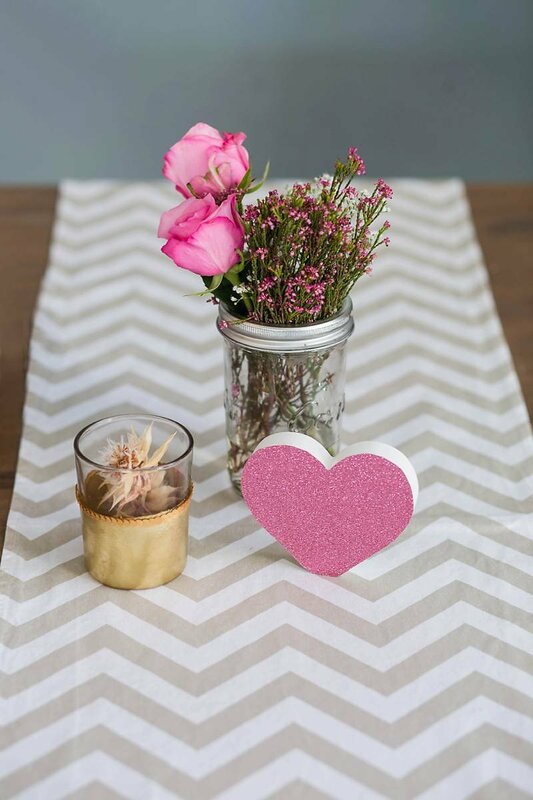 If she believes in pink, love at first sight, and leaves a little sparkle wherever she goes then this is the perfect theme for her kitchen tea, bridal or baby shower! 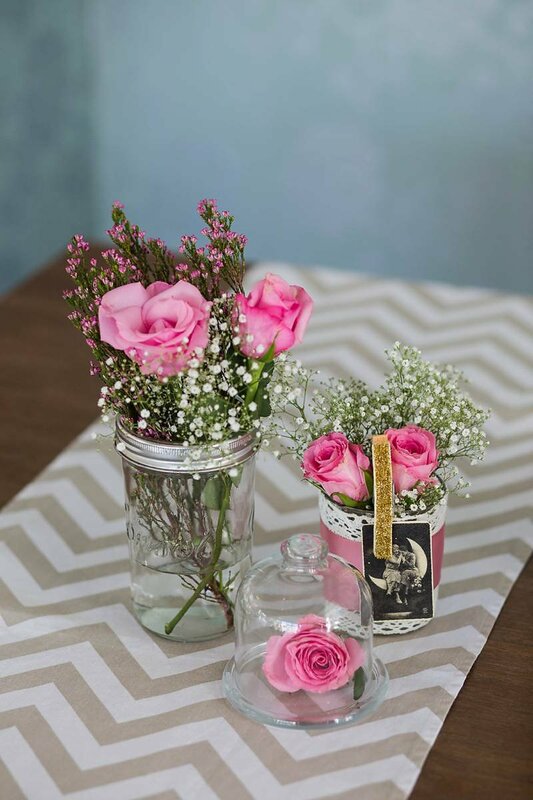 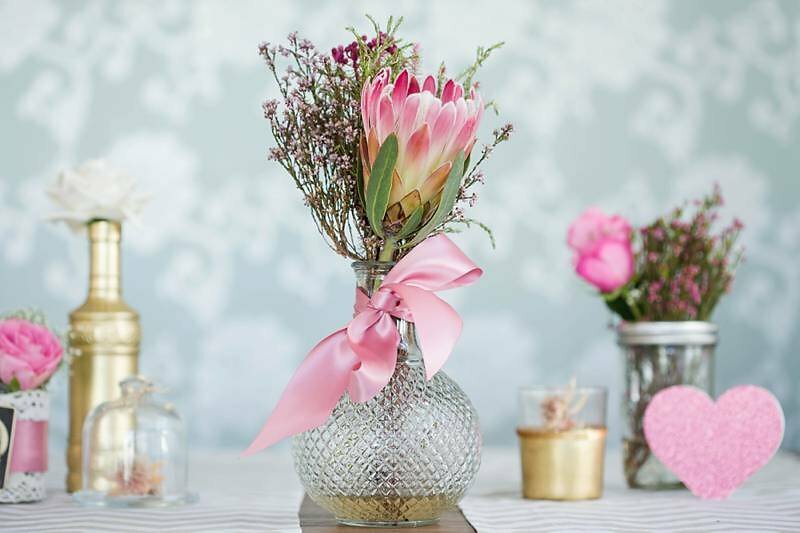 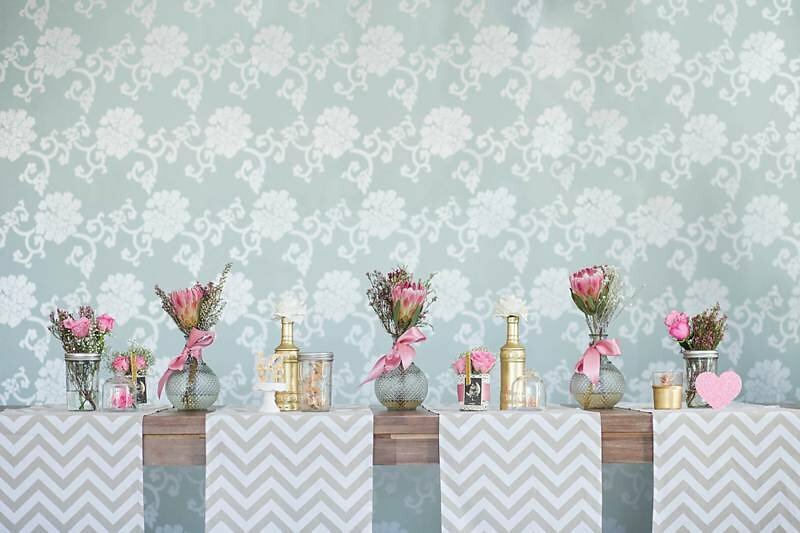 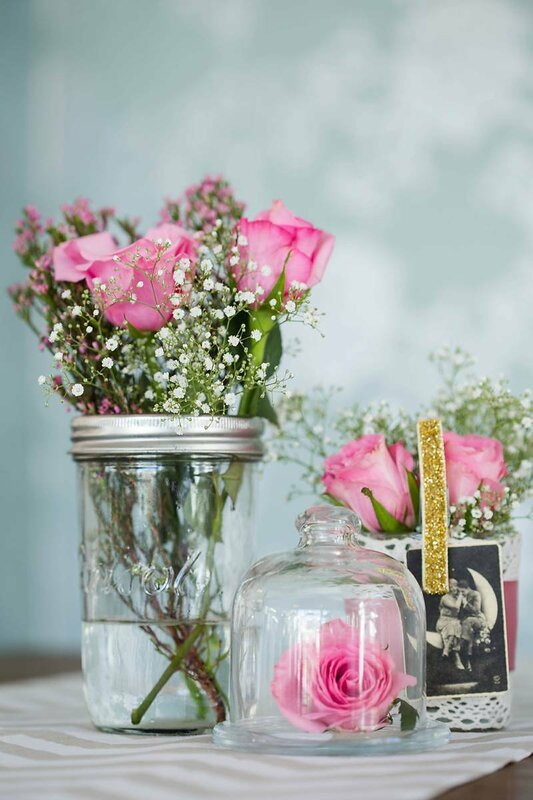 Delight the bride-to-be or mom-to-be with a gorgeously decorated table. 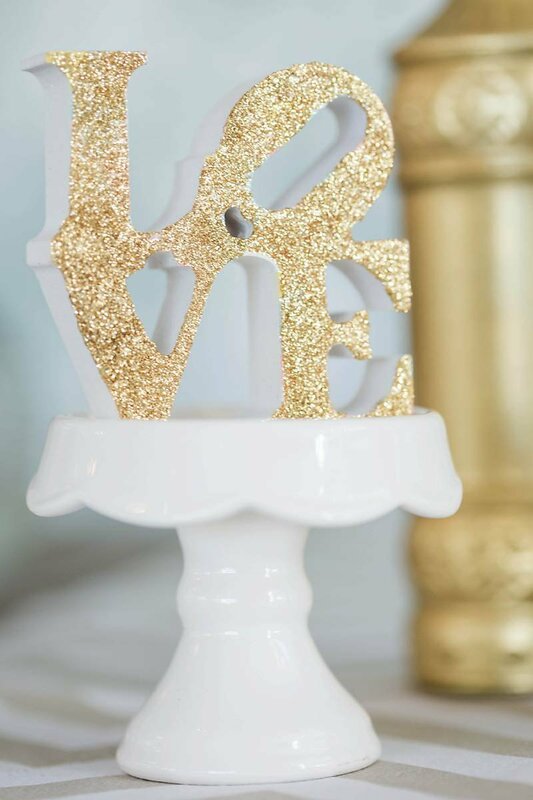 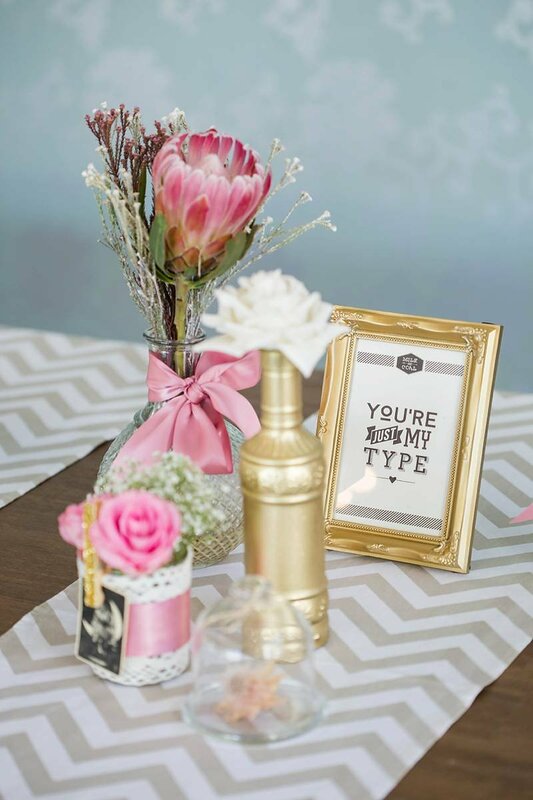 Complete with lashings of glitter, pops of pink, and finished off with modern gold and white decor items. 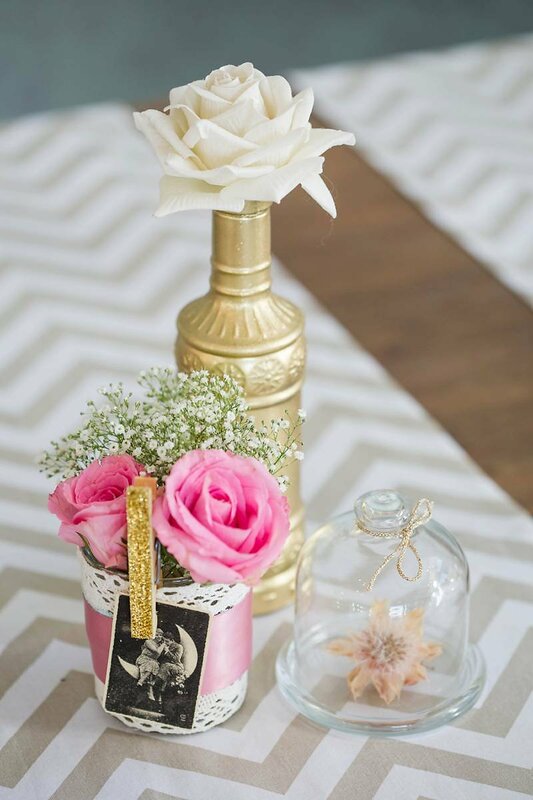 It’s glamorous, feminine and she’s going to love it! 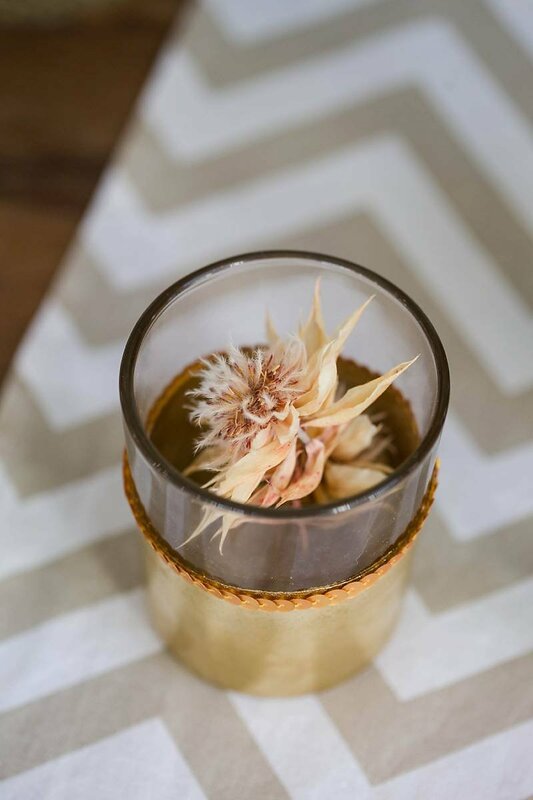 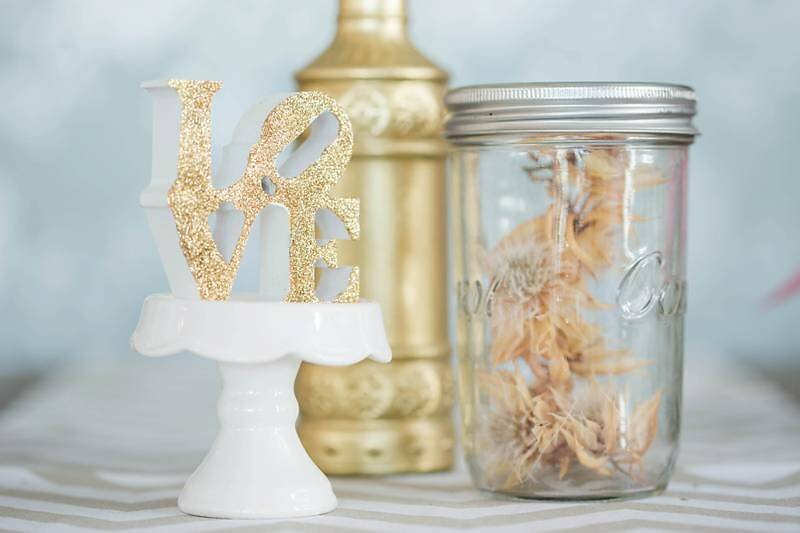 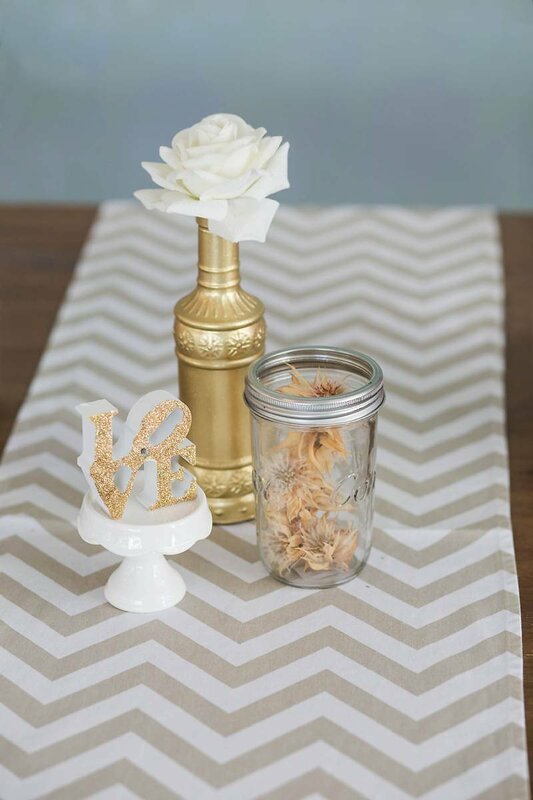 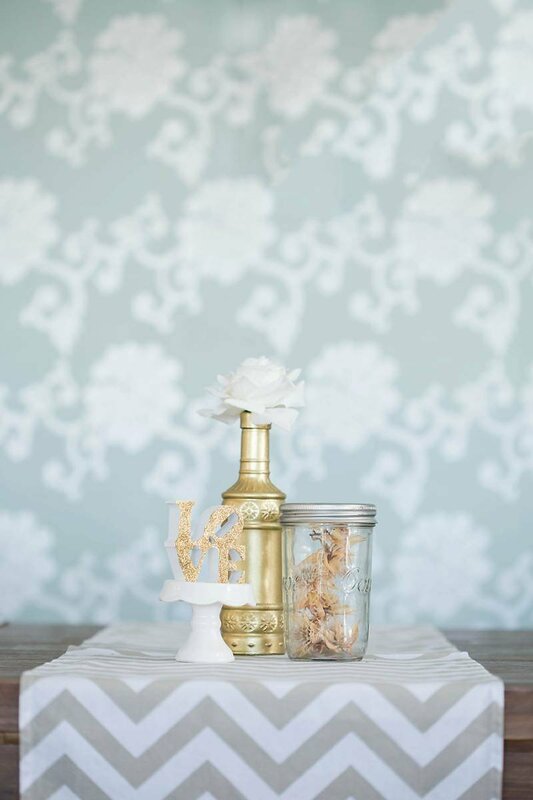 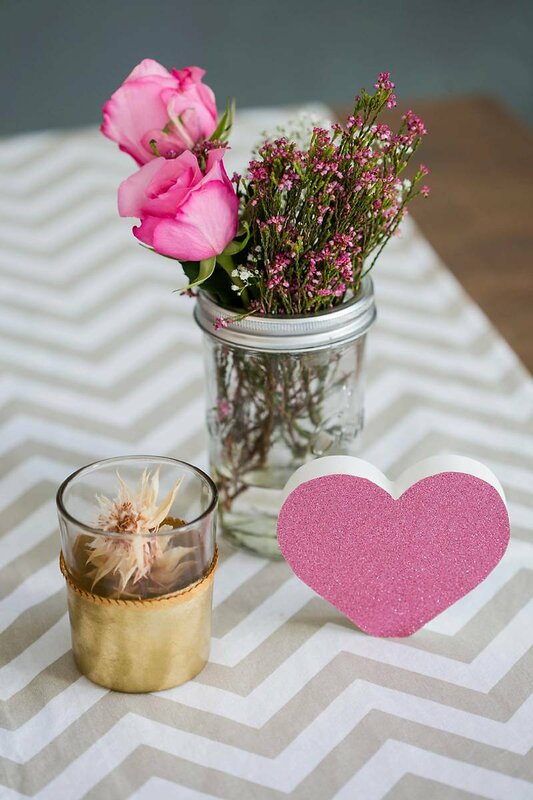 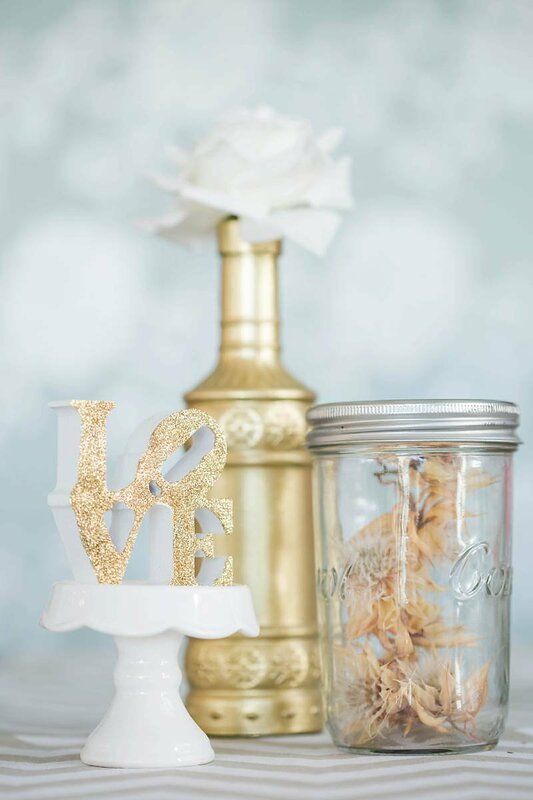 Using a luscious selection of feminine decor items, modern table runners in a pale gold chevron print, and romantic flower arrangements, the Glitter in Love décor pack has everything needed for a professionally styled celebration. 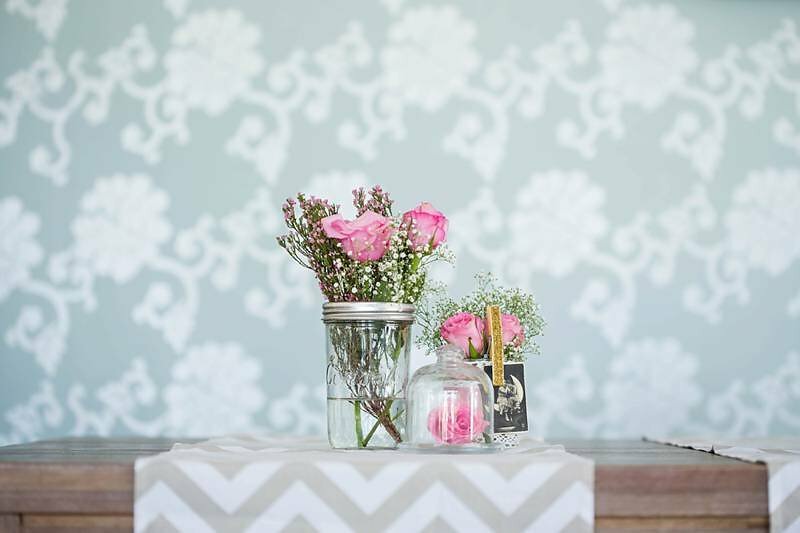 To add a spa day feel to the event, you can hire a mobile massage therapist to give each guest a mini neck and shoulder massage or mini manicure. 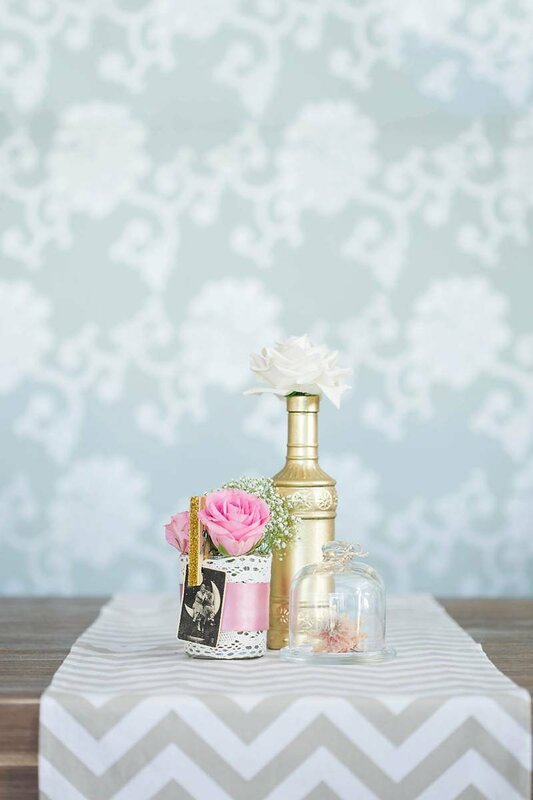 Little nail polishes wrapped in tulle would be perfect for a thank you gift the guests will love. 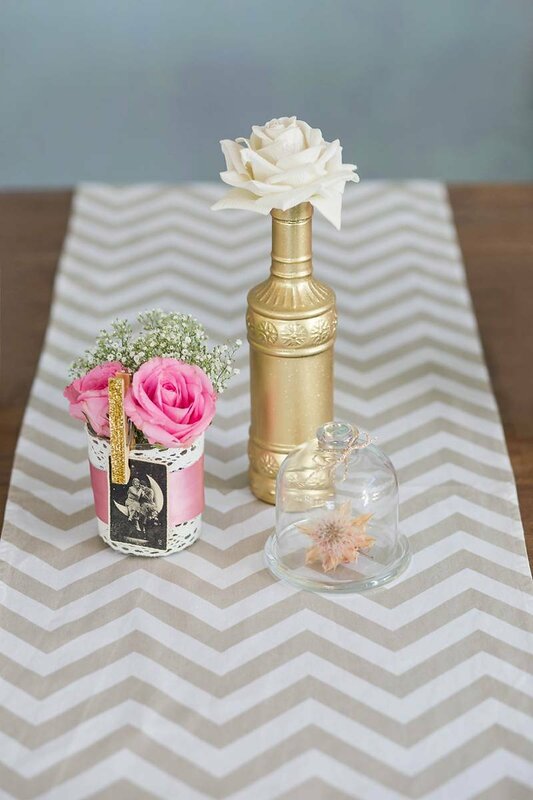 This theme would work beautifully for a glamourous kitchen tea, bridal or baby shower. 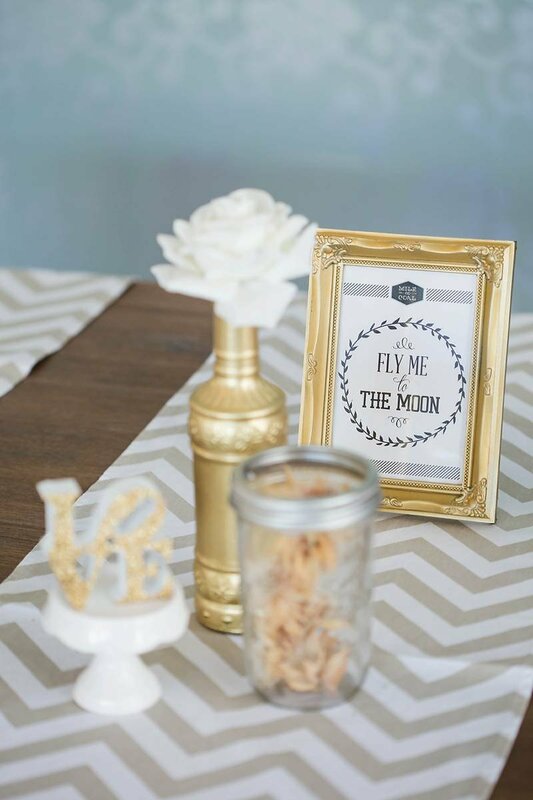 Hosting it on a wine farm, a hotel or guest house would be perfect. 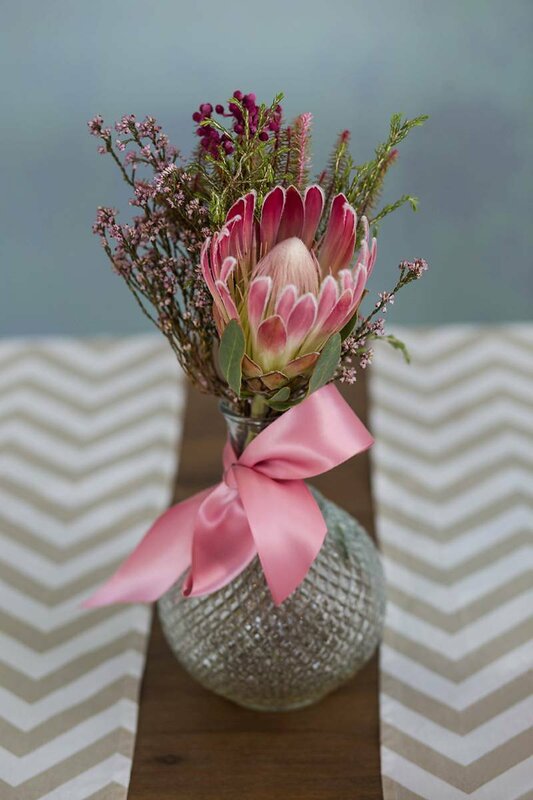 I also know of some lovely coffee shops and restaurants in Cape Town, Durbanville, Paarl, Stellenbosch and Somerset West that would be a wonderful place to host a celebration with this theme.